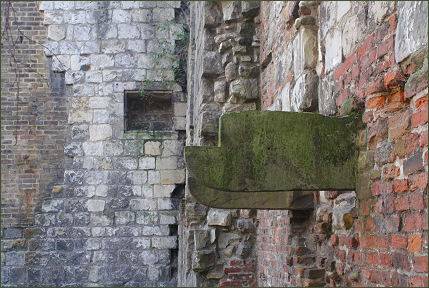 The remains of York's Norman House, a Grade I Listed building, stand in a secluded courtyard which is accessed through a door in an archway which leads to a passage between numbers 50 and 52 Stonegate. A Grade I listed building, the Norman House is the oldest surviving house in the city of York and from the few remaining pieces of decorative masonry, it is believed to date from between 1170 to 1180, being built during the reign of the first Plantagenet king, Henry II, when the majority of town houses were constructed of timber. The house, which is one of city's hidden treasures, is also the oldest example of domestic stonework which is still standing in its original location. 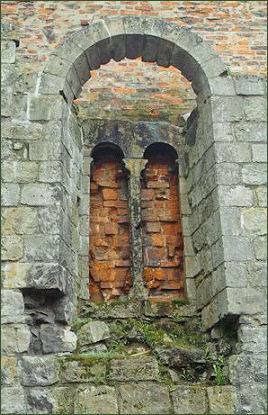 The building consists of two walls which are embedded in the rear walls of numbers 46, 48 and 50 Stonegate and well preserved first floor windows which features some fine tracery. The house once served as a Prebendal house of Osbaldwick, a village near to York, and in 1376, of Ampleforth, a later house which occupied the site was used by the clergy of York Minster until the nineteenth century. Prebendal houses were used by clergymen, or prebendaries, who received the rent or tithe from a particular property which had been set aside for the purpose of providing their income. The	remainder of the building is thought to have been demolished in the eighteenth century. The Norman House was discovered in 1939, an examination of the surviving window openings revealed that they were unglazed, with a metal bar and would once have been fitted with shutters, for which one hinge still survives, proving it was a domestic house and not an ecclesiastical building . The courtyard of the house was restored by the York Civic Trust in 1969. A medieval toilet was also discovered by archaeologists. Excavations in 1939 uncovered the foundations of three central piers, now located below ground, which originally would have supported the undercroft roof. The house would have had a hall on the first floor which was used as living quarters, a red stone line on one wall now reveals the location of the floor level. At ground level there would have been an undercroft, which would have been used for storage. The major part of the Norman House is believed to have been demolished by the eighteenth century. 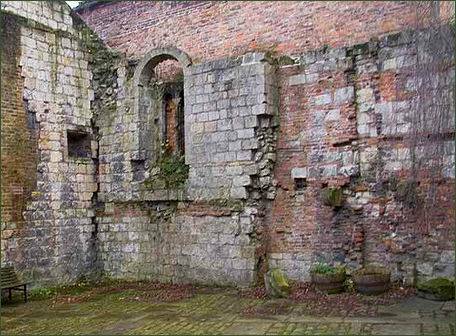 The only other examples of Norman domestic architecture in York to survive are the remains of a window frame stored in the Hospitium in the Museum Gardens and the columns which stand in the entrance to Grey's Court. The nearest counterpart to York's Norman House to survive in England is the Jew's House at Lincoln. Both houses were constructed at around the same time and the remaining window of the Norman House is very similar to that in Lincoln.